Smith’s third feature film was originally titled “The Kidnapping of Wendell Willkie by the Love Bandit,” in reaction to the 1968 Presidential Campaign. Willkie was a liberal Republican who ran against FDR in the 1940′s. 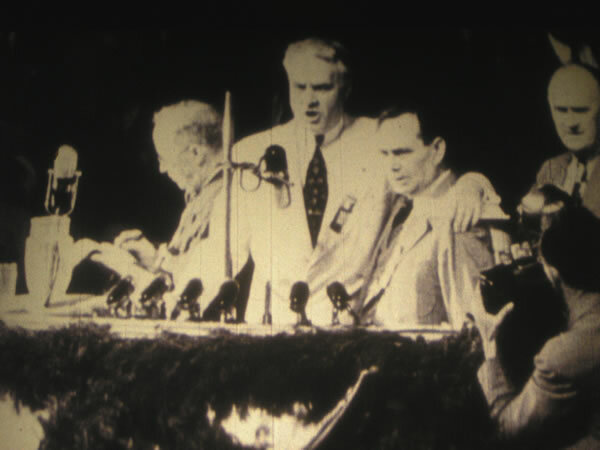 It mixes B&W footage of Smith’s creatures with old campaign footage of Willkie. The climax of the work appears to be the “auctioning” of the presidential candidate at the convention.